This is not your ordinary board game! 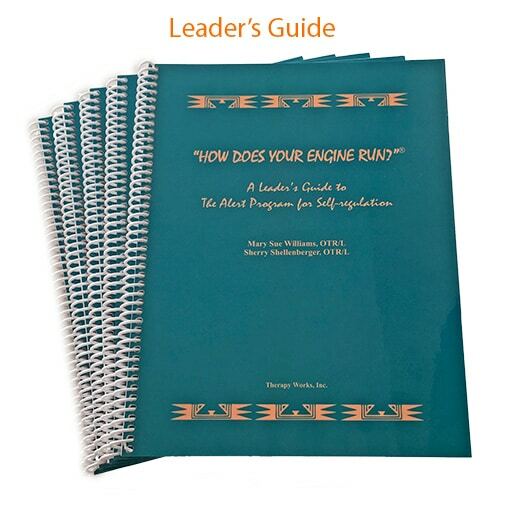 All players are drivers with engines, traveling around a course, set to check in regularly on their internal engine speeds. Are they speeding or idling? What can they do to run “just right?” You, the adult, are the Track Official, directing the action and discussion. All of this supports the players' cognitive, social, sensory, self-regulation development. Keeping on Track Board Game can be enjoyed at home and school, in both General and Special Education classrooms, and in therapy settings. 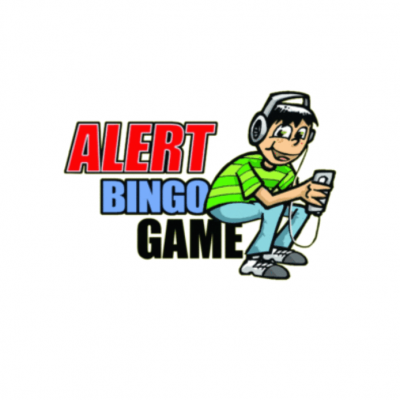 Get geared up to use what you’ve learned through the Alert Program® with this enticing board game! 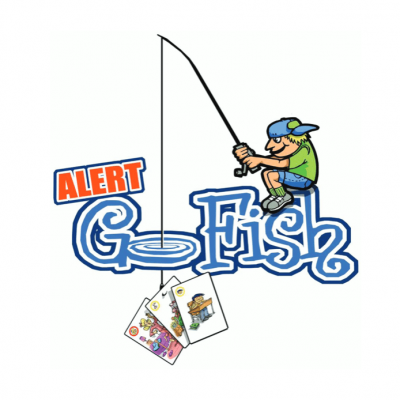 After children have been introduced to the Alert Program® concepts through the Leader’s Guide activities, Test Drive songs, or Alert: Go Fish! and Alert Bingo, they are ready for this one-of-a-kind game. The 18″ x 18″ board captures children’s imaginations with colorful illustrations and landmarks along their road trip. 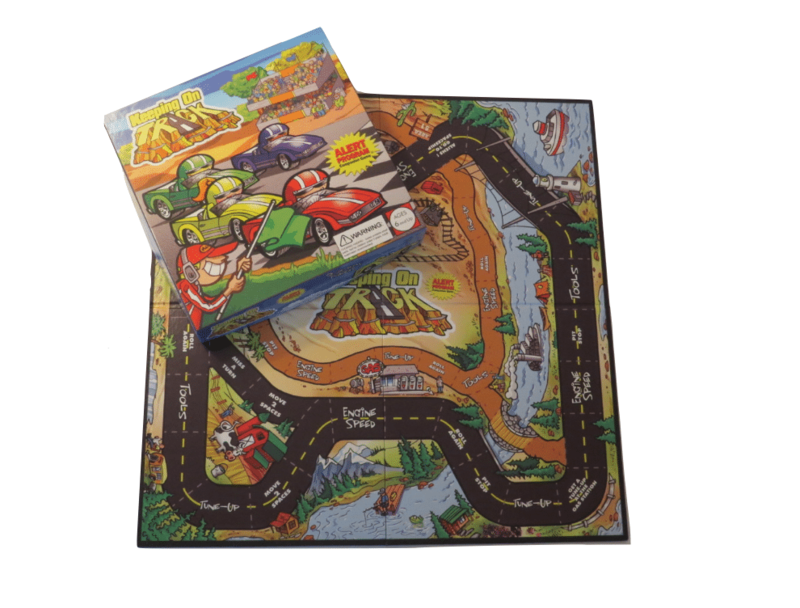 Four cars, one die, and three sets of cards are included in the game box. The game cards reinforce the three stages of the Alert Program® as taught in the Leader’s Guide. 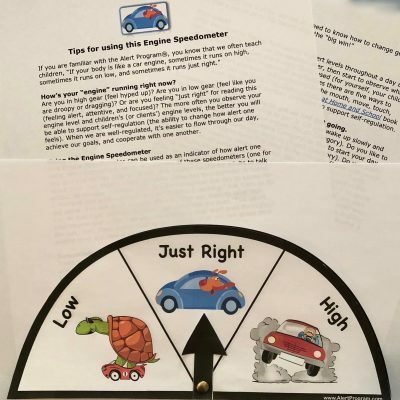 When answering Engine Speed card questions, children learn more about how to identify engine levels (Stage One). Using the Tools cards, children learn more about the five ways to change engine levels (Stage Two). 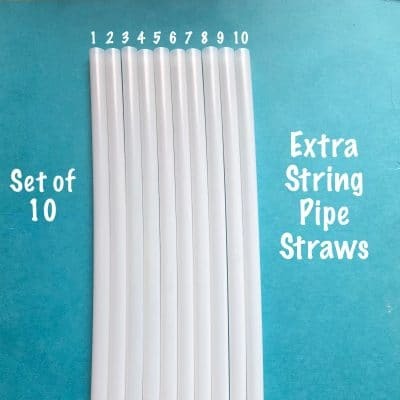 The Tune-Up cards ask questions that encourage problem-solving and independent self-regulation (Stage Three). Blank cards provided can be used to stack the deck with individualized questions. With your purchase, you’ll receive game instructions with “bonus materials” offering numerous ways to play and adapt the game. 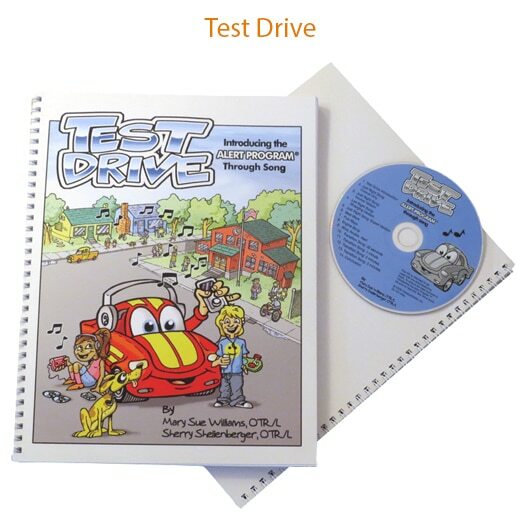 You’ll have everything you need to guide children to learn how to “keep on track” at home, at school, or in therapy settings. 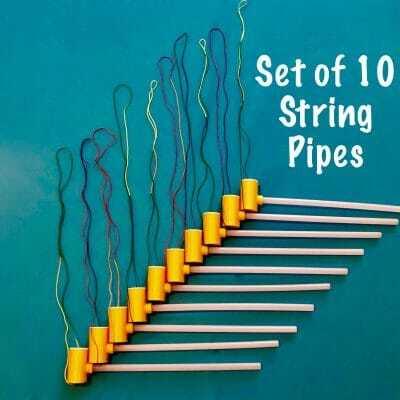 NOTE: This game will serve you well, if you are familiar with self-regulation and sensory processing theory. If you are a newcomer to the Alert Program®, you may want to purchase the Leader’s Guide to get the most out of playing the Keeping on Track Board Game or click here to find an occupational therapist in your area to support your efforts.